'The largest book give-away ever attempted' is the catchy title of an initiative to give away a million free books to celebrate World Book Night in 2011. Great idea, but maybe just a little over-hyped. 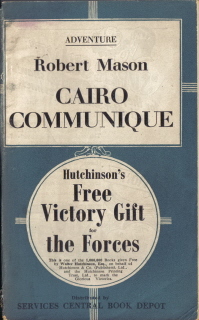 In 1945, Hutchinson as just one publisher, gave away a million free books - see my blog posted on August 17. Now it takes the whole book industry working together to offer the same number!